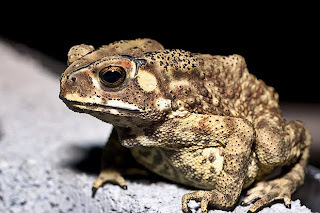 pseudoparanormal: Touch a toad and get a wart. I remember an old wives tale that used to say if you touched a toad you would get a wart. These toads look like they have warts all over their bodies. But can these toads really give people warts if they touch them? These bumps aren't warts though; they are an accumulation of mucus glands or poison gland underneath the skin. These glands release a milky secretion when the toads feel alarmed. I never used to touch frogs because of that claim either! I think it is pretty funny to find out years later that I could have touched frogs all this time, but never did because I was scared of getting warts. I always wanted a frog as a pet, but my big brother told me that if I got one, I'd be covered in warts. I always thought that this had to be a myth and clearly it truly is! I never believed it and have touched many frogs and toads..good post!